Northern Turf Equipment is Thunder Bay’s professionally acclaimed & preferred Kohler Expert Dealer & Briggs & Stratton Diamond Dealer. 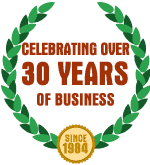 Our owner and manager Tom Suttie has been operating this thriving business since 1984. Clients from Thunder Bay and Northwestern Ontario feel comfortable investing in our machinery because we’re known as the business that sells quality product and delivers first class service and customer support to “you”… our valued customer. When you purchase a product from Northern Turf, we make sure your machine is properly set up, fuelled and ready-to-run. Our professional technicians and staff will make sure that you are trained properly so that you can operate your equipment safely & effectively when you get home. You’re not stuck with a manual and a bunch of parts waiting to be built out of a box. Tom Suttie is a factory certified Briggs & Stratton Master Service Technician, a designation that must be kept current by completing annual testing… which means that you can be confident in bringing your Briggs & Stratton-powered equipment to us for servicing. When you’re looking for yard and garden equipment, Northern Turf carries a wide assortment of “top of the line products” that are proven to be reliable and dependable. When you’re looking for chainsaws, trimmers, water pumps, Zero Turn riding lawn mowers, utility trailers and more, stop by our showroom or contact us for additional information. Our knowledgeable staff and professional service team will be happy to answer any questions you may have. Visit us on Facebook for in-store specials, events and tips! 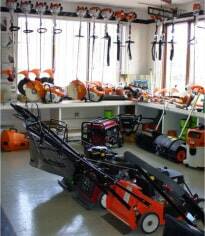 FINANCING IS NOW AVAILABLE AT NORTHERN TURF FOR SELECT TORO, HUSQVARNA AND ARIENS PRODUCTS. ASK OUR FRIENDLY STAFF FOR MORE DETAILS!! BUY 2 SPARE CHAINS FOR YOUR CHAINSAW AND RECEIVE 15% OFF BOTH CHAINS. Please ensure to bring all proper information (see below) when looking to purchase parts for your piece of equipment. Lawn/Garden Tractors - Model# & Serial# - Located on a tag under the seat or on the frame of the machine. When purchasing a new chain for your chainsaw, we require a sample, the size of the bar, the pitch, thickness and number of links.